You wanna hear something old school? How does a 56-year-old fronting a 31-year-old band sound? To anyone in the know, and to those at the Wonder Ballroom, it sounded mighty fine indeed. 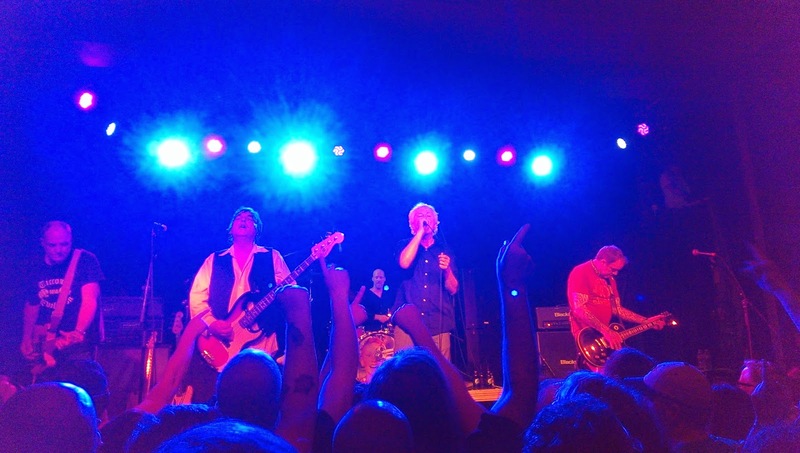 Dayton, Ohio's unsinkable Guided by Voices, now grayer and possibly a tad more moderate than during their 90s/early 2000s campaigns of Miller Lite stockpile destruction, came, saw, and leg-kicked out the jams. If they had stopped writing new music 10 years ago, GBV would already be wielding a staggering song inventory, but no chance. Ceaselessly creative, mic-twirling dynamo Robert Pollard and his classic-formula GBV (from circa 1992-1996, guitarists Tobin Sprout/Mitch Mitchell, and bassist Greg Demos, along with later-period drummer Kevin March) arrived in town with not one but two new 2014 records, May's Cool Planet and February's Motivational Jumpsuit. If these worthwhile releases demonstrate anything, it's that the state of the GBV union is strong, and fans really ought to be grateful they live in a world where the unstoppable, avuncular Bob still holds court in their local nightclub. 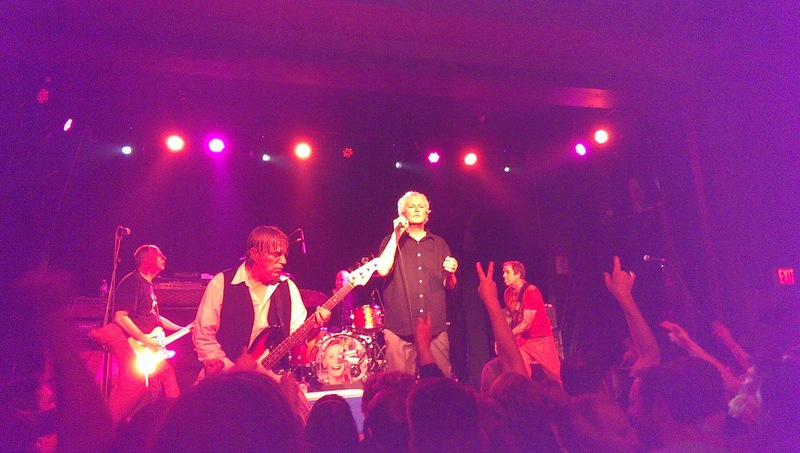 Perhaps GBV never broke big, but the level of fame and adoration they currently enjoy seems ideal. Given the band's working-class-hero fervor at the Wonder Ballroom, their constituents could simply not want it any other way. This strange world of inscrutable song titles and transcendent rock and roll glory belongs to them, after all. Imagine a private club where beer bottles are hoisted in triumph, and nearly 50 songs are dropped in two hours. Presiding over it all is Captain Bob, damning torpedoes of power chords and melody that could lay waste to even the most jaded hipster mind, leaving pretension and PBR cans bobbing on the surface, like so much flotsam and jetsam. In Portland, catering to every generation of fan like an indie rock Rolling Stones, the quintet broke out vintage tunes (Propeller's hard-charging "Exit Flagger"); fresh material ("Authoritarian Zoo," "Alex and the Omegas," the cleverly self-referential "Littlest League Possible"); Tobin Sprout-sung delicacies ("Awful Bliss"); and, in the "Shocker in Stumptown" given it was conceived by an entirely different membership of GBV, the very welcome mid-period jangler "Fair Touching" from 2001's Isolation Drills. Pollard noted from the stage that it was the 20th anniversary of Bee Thousand, a peerless GBV classic, and the one with the anthems the crowd was hungriest for. Nine selections from the album were aired, and "Gold Star for Robot Boy" and the riffing, zigzagging gem "Echos Myron" even inspired mosh pits that were not so much violent as they were refreshing, cynicism-free moments of communal joy. It's telling that so many goods were delivered by GBV, yet so many of their stellar works weren't even played; "My Valuable Hunting Knife," "The Official Ironmen Rally Song," and "Watch Me Jumpstart" were all conspicuous in their absence. It seems a grown-up, get-it-done efficiency and a slight sense of holding back is the new approach of this enterprise, and it's most glaringly obvious in Pollard's reduced alcohol consumption on stage (well, relatively speaking). Rather than continuing to exult in the shambolic, beer-hoisting Bacchanalia like he did in the 90s and 2000s, the frontman has chosen to hand lightly-used bottles of Jose Cuervo and Crown Royal over to the front rows (sheesh, someone's getting mono, bro...), and he even handed over several unopened Miller Lites at the end of the night. It's a bit like throwing a party in your forties. You buy way too much beer, and send the surplus home with your friends. Has GBV grown up slightly? Gotten older and wiser? Perhaps necessarily so. But to call this evening anything less than a celebratory slice of underdog indie rock heaven would be inaccurate.